We had the most wonderful time last week at Helsinki with extremely talented people! 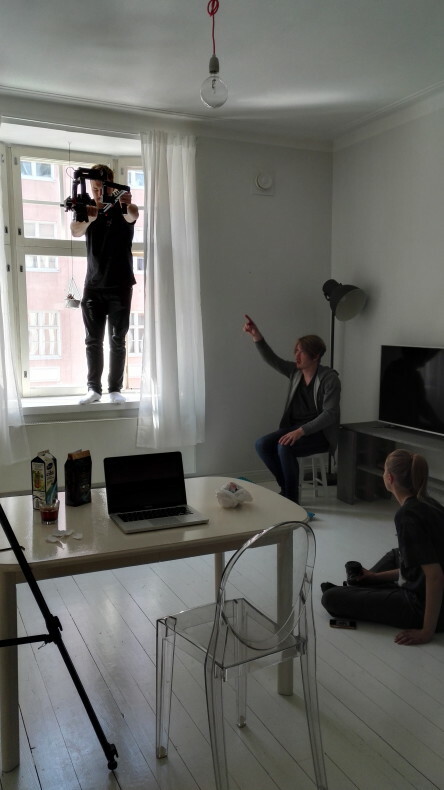 Shooting this video was so much fun and it was absolutely fantastic to watch all these professionals, such as director Jussi Ratilainen, working. Need help fixing your home or wardrobe? Weecos designers are here! 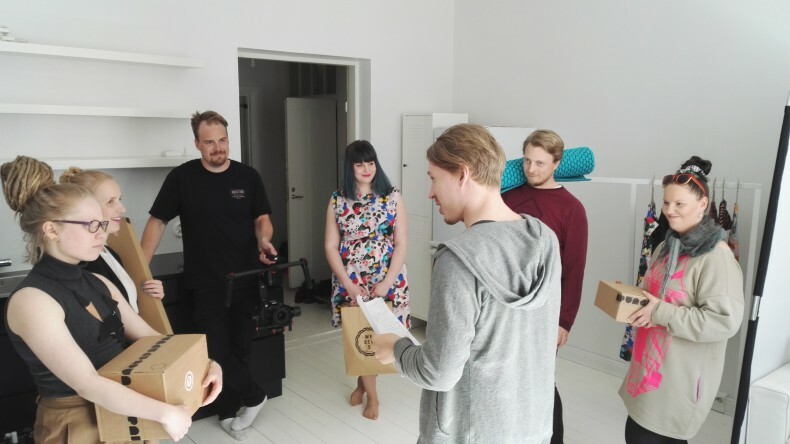 Last week we spent three days in Helsinki and one of those days was dedicated to making this Weecos video. There aren’t superlatives enough to tell you how amazing the day was with all these people around us. 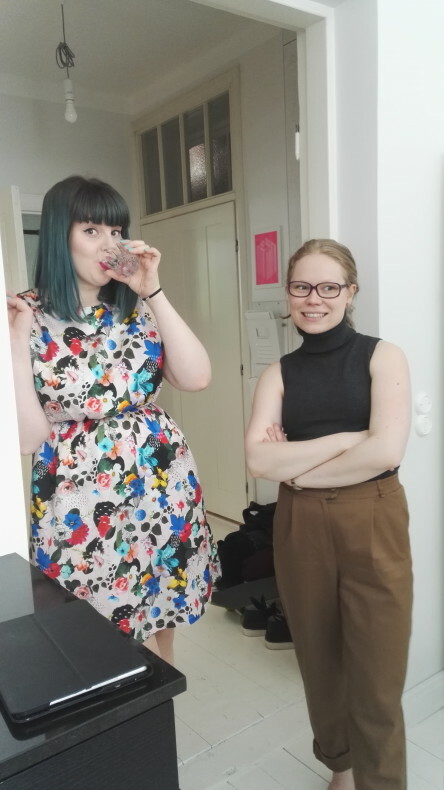 First of all huge thanks to Anniina Mustalahti, from Enne collective, who created the storyline and the whole concept for the video with us. Your ideas were fresh and it is always a pleasure to work with someone with a twinkle in the eye! 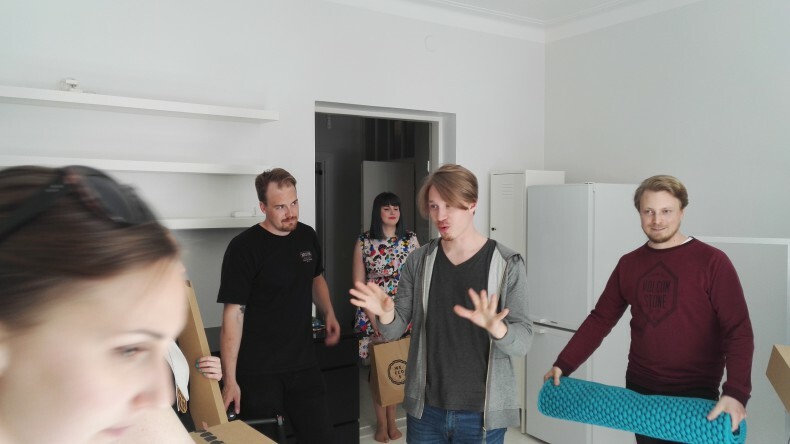 Thank you director Jussi Ratilainen, it was so wonderful to watch you working with your cheerful style – you created a relaxed mood to us all in the set! Thank you Hanna Tikander for styling and arranging the set. 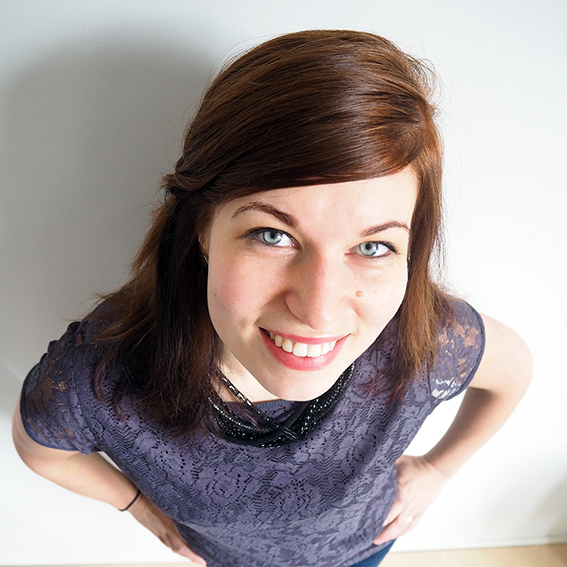 Thank you Teemu Lautamies, the man behind the camera, your work is guaranteed quality. And thank you Reetta, our model from Paparazzi, was such a warm-hearted person, helping everyone in the set in so many ways. Oh, and many thanks also to Magia Music & Media Oy for the creating exactly the sound we were looking for. 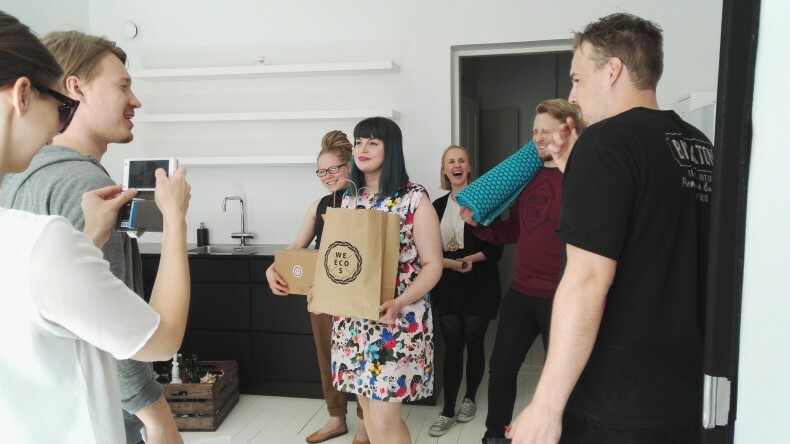 In addition, thank you so much Samuel Loueranta, Minna from Vietto Eco Fashion, Mira from Uhana Design and Roosa from Kenkäpaja Pihka for making our video complete! After the day with these professionals, we cannot say nothing but: we looooooove our jobs! We had the best time ever! So what is this video for? You’ll find out in few weeks, but while waiting, here are some photos from that inspiring day for you too! Our model Reetta goofing around. Mira and Roosa having a short break. We are looking for further co-operation with you all, a million thanks to all of you, once more, for the inspiring day! All photos by Hanna Lusila.